Twelve-year old son of Paul and Amanda Kirby. Eric stayed with his mother when his parents split up since she wasn’t a safety nut like Paul and let him do dangerous stunts with his mother’s boyfriend, Ben Hildebrand. 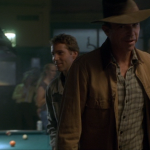 He opted to go to Isla Sorna to see some of the native animals. He and Ben hired Enrique Cardoso, a shifty man who ran a parasailing operation called “Dino-Soar.” While they were parasailing over the island Enrique’s boat below, which was pulling them along as they flew, went through a fog bank. There were several thumps and jerks on the line, and when the boat came out again Enrique and his driver were gone. Worse, the out of control boat was speeding toward some rocks. Luckily, Ben unclipped them and they drifted into the jungles of the island. Ben was killed but Eric survived by hiding in an overturned water truck. Using desperately-gotten Tyrannosaur urine, he kept most of the other predators away. Eight weeks later he was saved by Dr. Alan Grant. Rather, he saved Alan, using the last of his scavenged gas grenades to scare away a pack of Velociraptors. He was then reunited with his parents when he thought he heard his father’s phone, but Paul told him the phone had been in the possession of Nash when he was eaten by the Spinosaur. Sure enough the Spino, with a ringing belly, arrived. They all narrowly escaped. 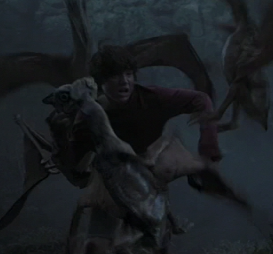 Later in the aviary he was grabbed by a huge Pteranodon, which attempted to feed him to its chirping hatchlings. Eric was rescued by Grant’s assistant Billy Brennan, nearly at the cost of Billy’s life. He survived the ordeal with both of his parents. After another encounter with the Spinosaurus, the boat was destroyed and they trekked to the coast on foot. Almost at freedom’s doorstep, the Velociraptor appeared once again and the alpha female demanded the stolen eggs be returned. Amanda did such, and the Raptors left as the sounds of approaching helicopters were heard. Upon lifting off, Billy noticed three Pteranodons which had escaped and were flying away from the island. 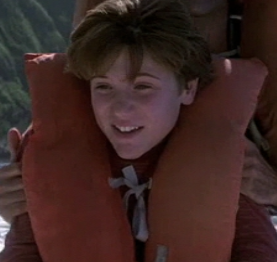 Eric Kirby was played by Trevor Morgan.